How will legalized marijuana impact manufacturers? Here is the big, two-headed problem with marijuana: It is hard to tell if someone is impaired, and it is equally hard to test for it. Ever since the Liberal government came into power with a stated policy to legalize pot, Canadian manufacturers have been asking how new legislation might affect their operations — particularly with respect to liability and workplace safety. They are concerned enough that they have been calling Winnipeg labour and employment lawyer Shereese Qually for advice. Qually, a partner with Taylor McCaffrey LLP, explains that, on the legal and policy side of the conversation, marijuana fits logically into the same category as alcohol and prescription drugs. Those substances are legal, but they can, and often do, affect on-the-job employee performance. “Just because it’s legal doesn’t mean it’s legal to be impaired at work — it’s not,” explains Qually. “We have drug and alcohol policies that address impairment, and prohibit that kind of contact at work, whether it’s bringing it to work or being impaired at work. All government eyes are presently on Colorado, where marijuana has been legal since 2014. The state is trying a saliva test for impaired drivers, but is still struggling with laws surrounding impairment. To compound the issue, marijuana impairment is significantly different from alcohol impairment, says Dr. Brendan Adams, an Alberta-based medical consultant, who runs an addiction recovery program for the Airline Pilots Association. He recommends that manufacturers stop thinking about the indicators of alcohol impairment, and shift their perceptive powers. Alcohol, explains Adams, is water soluble, enters all body cavities equally, and crosses the blood-brain barrier easily. A person’s behaviour may not offer clear clues, either. While slurred speech or the inability to walk a straight line are dead giveaways of alcohol-induced impairment, these particular motor skill deficiencies do not generally appear in the traditional pot user. That kind of impairment has safety and performance implications, complicated by legal testing laws. In the workplace, testing can be done under three circumstances, notes Qually: When there is reasonable cause, such as witnessing consumption or the symptoms thereof; post-incident, if there is an accident and an observance of impairment; or as a result of an accommodation agreement, where a person has an addictions issue. 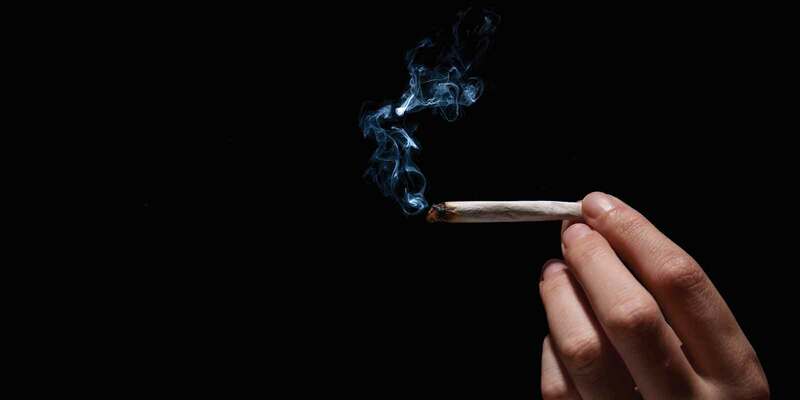 The drug test must be supported by corroborating evidence — a significant hiccup in the case of marijuana, given the behavioural-impairment disconnect. Similarly, liability insurance will likely remain unchanged, since prescription drugs and alcohol are already reflected in policies, according to Glen Hufsmith, a branch manager with Affinity Insurance in Saskatoon. “In a scenario where someone was impaired at work due to marijuana or alcohol, the standard liability policy would typically cover acts of negligence — meaning that, if there was no apparent reason for the employer to determine that person was impaired, their policy would pay to defend in the event they were named as being negligent in a lawsuit,” adds Hufsmith. Qually suggests companies prepare for the new legislation by developing drug and alcohol policies, and to ensure these are drafted to address the legalization of marijuana. These policies should not simply be prohibitive, but must also include the concept of accommodation. Once the policies are in place, inform your staff and provide refresher training to employees, to clearly outline what is and is not acceptable.